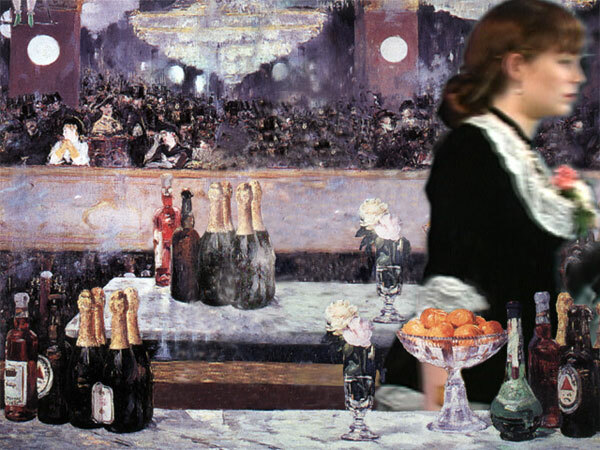 This work revisits A Bar at the Folies Bergère by Manet (1881-82) by enabling the viewer to participate through responsive interaction of the characters in the painting. Upon entering the space, viewers may notice the barmaid moving about while prepping herself. 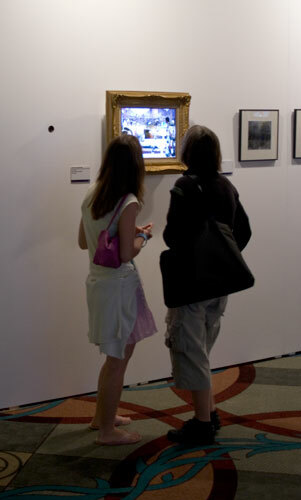 Fully positioned in front of the work, viewers see themselves reflected in the mirror of the painting. The previous patron, seen in the upper right corner, leaves. The barmaid, if not already alive, comes to life. She looks at the viewer and refuses to serve him or her. with a variety of responses. If the barmaid is annoyed or tired, then she will leave. Only when everyone leaves the her bar will she return. 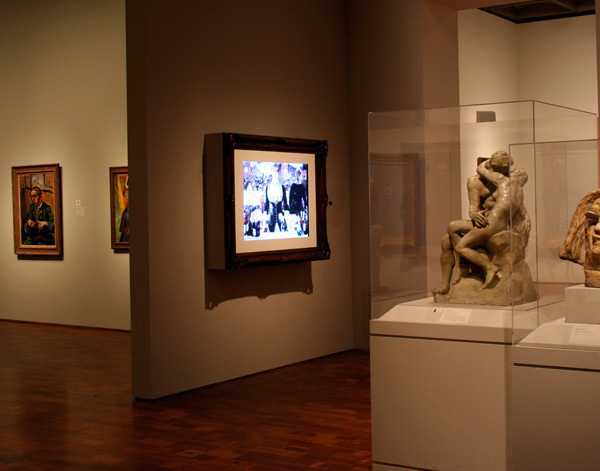 The work is comprised of static images, live video, audio, and movie files composited together in real-time using OpenGL. Through custom designed vision tracking algorithms the computer determines the number and location of participants then updates the appropriate action for the barmaid. This work was produced with Wafaa Bilal.